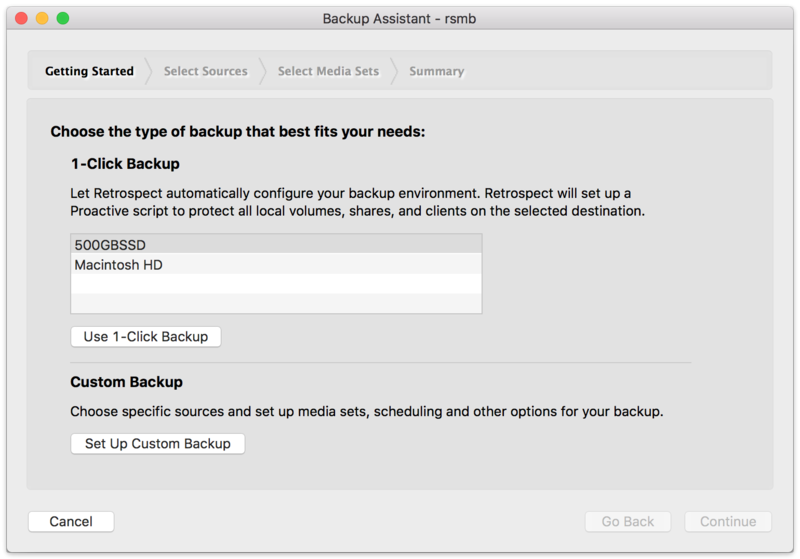 BackupBot combines artificial intelligence and personalized data protection analytics to embed more intelligence in Retrospect's data protection strategies. It's included in every edition of Retrospect. The dashboard includes a 'Storage Predictions' section that uses a linear regression algorithm on past backups to estimate future storage growth, helping customers understand their future storage usage based on current consumption. With one click, BackupBot will automatically configure a Proactive script with all available sources to a selected destination. 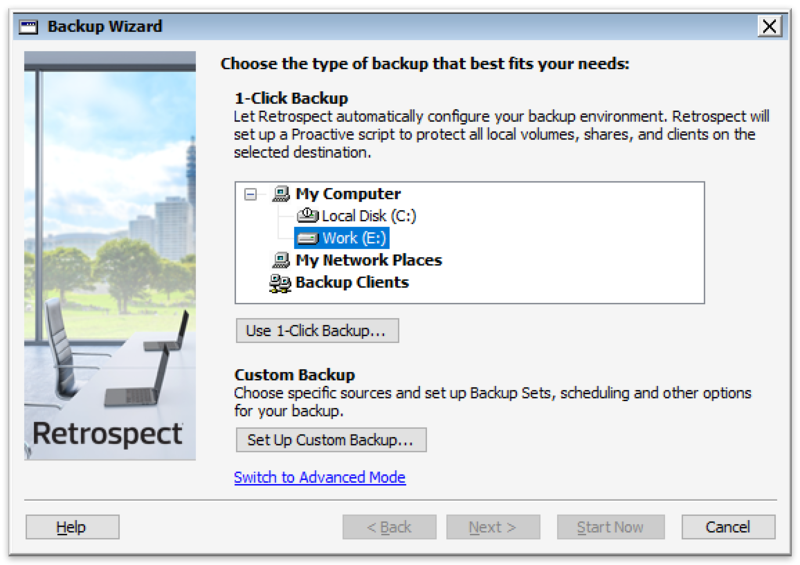 An entire backup strategy in a single click.